Benchpeg is extremely excited to reveal the Judges for the Benchpeg Awards 2016. Each Judge is an expert in their field, which range from fashion markets, art jewellery, commerciality, manufacture, the craft, image making, design, creativity and innovation. They are listed below in alphabetical order. 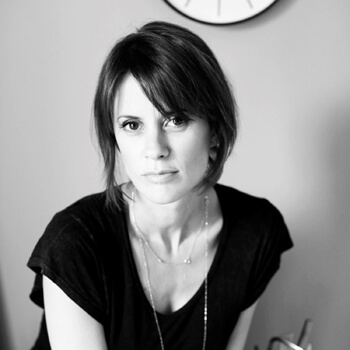 Kate Baxter is a jewellery designer and founder of fine jewellery blog & consultancy The Cut London. With over 10 years’ experience working within the jewellery industry; as a designer for global brands and as a freelance creative, Kate brought her unique sense of innovation and intuition to launch The Cut London, where she champions new jewellery design talent, advises small creative businesses and sources bespoke jewellery. Frank Cooper is a jewellery industry professional who has worked in the UK jewellery industry for most of his working life. He is now a Senior Lecturer in Jewellery Manufacturing Technologies and Manager of the Centre for Digital Design and Manufacturing (DDM) at the Birmingham School of Jewellery. He is a globally recognised expert in the application of various Additive Manufacturing and prototyping/3D printing technologies used in the jewellery manufacturing industry. He has an excellent understanding of both the manufacturing processes and the supply chains within the industry and has built up an outstanding group of contacts and networks within both the UK and worldwide Jewellery Manufacturing Industries. He is also an active participant in a number of Jewellery Industry related research initiatives and has written and presented many technical papers and articles published and presented in the UK and Europe, as well as at the Santa Fe Symposium in America. His papers and presentations currently specialise primarily in the areas of Additive Manufacturing, CAD and prototyping for the Jewellery and Silversmithing Industries. 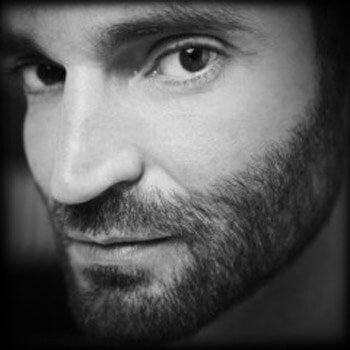 Gianluca is a luxury product photographer whose career has spanned three decades. As Head Fashion Photographer at a leading London studio his photographs were used by clients including Burberry, Hermés and Jaeger. Drawn to the technical challenge involved in jewellery photography his freelance work moved towards this specialisation. Over five years he built up a varied client list, and his work included both projects for independent designers and international campaigns for clients such as Fabergé. He is now Creative Director at AdShot, a London based studio he set up in 2015 specialising in bespoke jewellery photography. With over 10 years’ experience in design, trend forecasting and product development, Claire has a diverse resume spanning consultancy projects with Swarovski, Pandora, Next and Topman and analyzing trends for both WGSN and Stylesight. 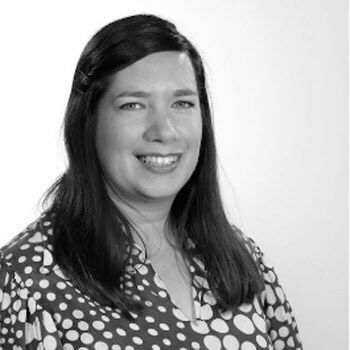 Claire directs all content for womenswear and menswear and has an in depth knowledge of the international commercial market and a strong understanding of how big ideas can shape the future. WGSN is the leading global trend authority for creative thinkers. Members get access to premium research and resources that will shape the future of their business. Kath Libbert is a nationally and internationally renowned Jewellery and Silversmithing Gallery owner. Kath set up her famous gallery in 1996 and “has run it with great pleasure ever since”. The gallery is set within Salts Mill, a magnificent Victorian textile mill now a World Heritage Site and home to the world’s largest collection of works by the artist David Hockney - who was born in nearby Bradford. Kath Libbert Jewellery specialise solely in contemporary jewellery, silver and metal smithing selecting work from UK and Europe and occasionally from further a field. The aim is to showcase the best in new talent and also to offer collecting opportunities of work by renowned jewellers. Much of the work on show crosses the boundaries between fine art, sculpture and fashion and jewellery. 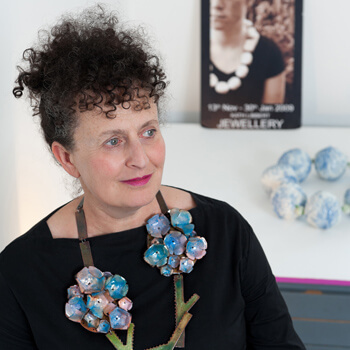 "I am often asked how I go about selecting what to show in the gallery from the myriad talented jewellers and silversmiths who regularly present their work to me. The honest answer is that it has always been very much based on a clear personal aesthetic and this is extremely hard to put into words! If I have to try then I would say that firstly, work has to be extremely well crafted. Next, if it is jewellery, it has to be wearable, so it should have a strong relationship to the body and look great, even if this is not in a conventional way. After these two conditions are met it’s about surprising me, provoking me, presenting me with something intriguingly beautiful that I think visitors to the gallery will love. Sometimes it is jewellery made from traditional materials but working with them in unconventional novel ways, or new materials that would not normally be considered for jewellery, transformed into wonderful creations. At other times it is an exquisite gemstone set in a striking way in a ring or necklace that floats my boat." "I am delighted to have been asked to be a judge for the Benchpeg Awards – a very exciting challenge! For me the most exciting part of my job is having new work presented to me, discovering talents – so I can’t wait to see the entries and then to play my part in making the final selection of the winners for this year’s prestigious Benchpeg Awards." says Kath. Designer of the Year 2016, Fei Liu, has an undeniably unique aesthetic, celebrating the beauty of femininity while demonstrating an eye-catching use of colour and form in ground-breaking techniques. 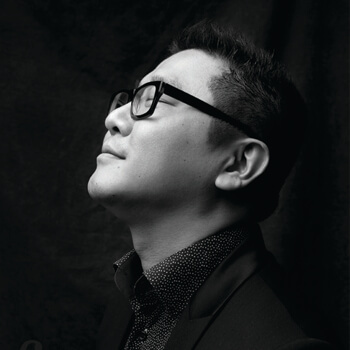 By combining his life and experiences in the West with his Chinese heritage, Fei Liu designs pieces that are not only visually creative, but that challenge preconceptions of luxury fine jewellery. 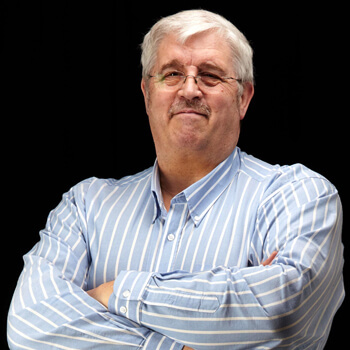 Dave Merry is the Head of Training, Education & Trading Standards Liaison at the Goldsmiths’ Company Assay Office. 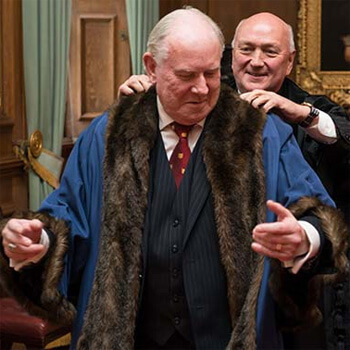 He is a Fellow of the Institute of Professional Goldsmiths, and an Honorary Member of the Chartered Trading Standards Institute - one of only six-non Trading Standards Officers to be given the membership. In July 2016 Dave celebrated his 45th Anniversary as an employee of the London Assay Office, having joined in July 1971 as an apprentice. He trained apprentices for 20 years before becoming a Master, and is now Master of Apprentices. Dave was recently made a Liveryman of the Goldsmiths’ Company. “I love working with youngsters. They keep me young at heart. It’s really rewarding to take someone who doesn’t know anything and to technically shape them. In doing so, we are perpetuating the craft - I see it as my legacy to do this and it's something I feel really passionate about.” He says. 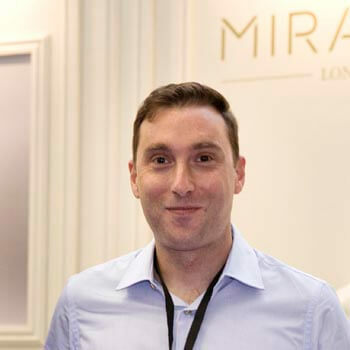 David Miracca is a traditionally trained mounter who took the leap into starting his own Hatton Garden workshop over 10 years ago. From small beginnings he now runs a successful jewellery manufacturing workshop catering to high end brands around the UK, and also has a loyal contingent of private clients who mainly come to know of him by word of mouth. David's design ethic is firmly rooted in his belief that fine jewellery needs to be exciting, but also wearable and timeless. He has a passion for coloured stones and his work will often feature rare and unusual collectible gems. He believes in embracing new technology whilst maintaining traditional hand skills, which he feels are important for giving character and fineness to his jewellery. 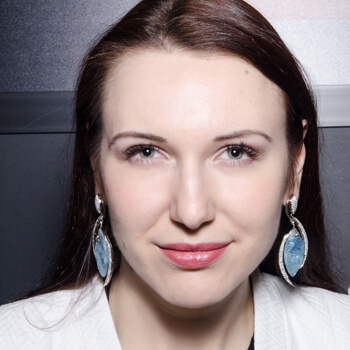 Katerina Perez is a jewellery insider, gemmologist and a freelance journalist with specialist inside knowledge of the jewellery industry. Being extremely passionate about gemstones, exquisitely crafted designs and the jewellery-making process, Katerina launched her own website katerinaperez.com to celebrate the world's most remarkable and extraordinary jewels. She travels around the world looking for talents and spectacular gemstones, spotting trends, observing the evolution in the jewellery industry all to share with her website readers and social media followers. 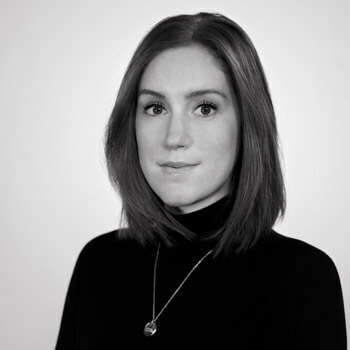 Katharine brings a wealth of experience in creating compelling content across platforms for diverse businesses including luxury jewellery house Mawi, the Arcadia Group and Elleuk.com. She earned her trade show stripes treading the international circuit for MPDClick.com, where she held the positions of both trade shows and trends editor. At WGSN, Katharine attends trade shows globally, awarding her an in-depth insight into the brand, buyer and consumer relationship, and the latest commercial trends across categories season on season. Est. in 2006, Benchpeg is the original and first to market online jewellery magazine in the UK. Benchpeg's weekly online jewellery publication reaches 10,000 readers in the Jewellery & Watch industries both nationally and internationally. Subscribe today! We are the go to place for anything sparkly.